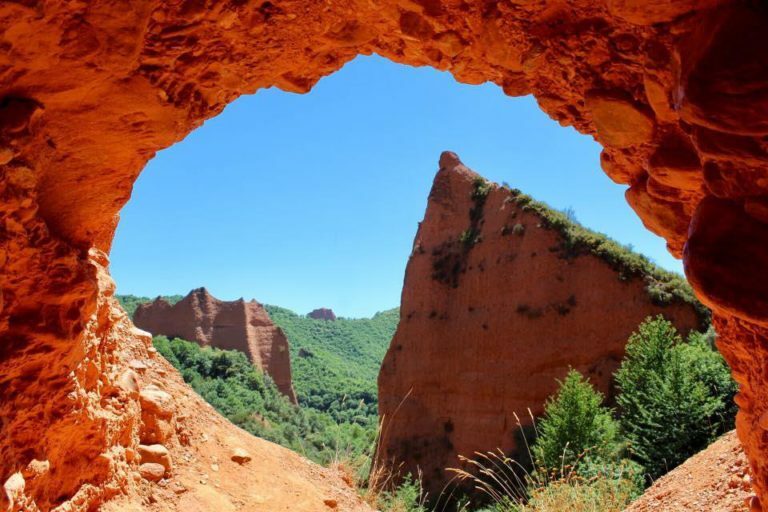 One of Spain’s most intriguing world heritage sites is a first-to-second century Roman gold mine called Las Médulas. Compared to modern mines the concen­tra­tion of gold was scant, but over nearly two centuries Roman engineers successfully moved 93 million cubic meters of soil to extract more than 4½ thousand kilos of gold for their principal coin­age, the aureus. The mine was eventually abandoned not because the gold ran out but because inflation debased Roman cur­ren­cy, pure gold coins now adulterated with silver or copper fill. Essentially, the ‘government’ minted money without something of true value to back it up, so gold lost much of its buying power in the late Empire and returned to where it started, as a metal for jewelry. Something similar happened to the spiritual indulgences granted for pilgrimage. An increasingly systematized, bureaucratized medieval Church found itself needing yardsticks for spiritual short­comings: what sorts of pe­nance would balance out a specific evil deed and encourage better conduct? Peni­tentials – manuals for con­fes­sors that listed categories and instances of sin and the ap­pro­priate correctives required for absolution – multiplied. Pil­grim­age was an ideal punishment, easily calibrated to fit the crime by imposing longer or shorter distances, or punitive con­ditions like during mid-winter or barefoot journeys. Assurances of redemption could not be meted out in material form, of course, so the penitent settled for a pro­mise of benefits payable after death, usually “time off” from one’s sentence of punishment for the residue of sin left on the soul, tallied up and rewarded by days or years off in Purgatory. The positive side of these calculations was also codified: courageous journeys were counted as spiritual attain­ments. In the Middle Ages, local bishops readily granted various amounts of credit redeemable in the afterlife for “acts of piety and reverence” such as visiting shine sites and the relics they contained. Medieval pilgrims willing adopted this form of pious book­keep­ing, reckoning the time they would get off when they passed through Purgatory. They trusted God to keep score for when the time came. Meanwhile they anxiously sought out shrines that offered generous indul­gen­ces and planned their trips accordingly. This quantification of grace and reward – all derived from Christ’s redemptive intervention in history – became known as the “economy of salva­tion”, and with the Church functioning as sole banker for the “treasury of merits” the faithful invested energy and resources, even risked their lives, to make deposits toward their invisible balance sheet of merits. This single sheet is a telling example of imagined, even “borrowed” pilgrimage. Printed with papal approval and in large press runs by Wynken de Worde of Westminster, it asked for donations to expand (“pro reedificatione”) the Great Hospital in Santiago de Compos­tela. The stated purpose was to gather funds for new chapels, one for men and another for women, in the new royal Hospital of the Reyes Católicos where Masses would be said for the deceased relatives of the subscriber. Alexander VI (1492-1503; the text mistakenly says “octavus” instead of “sixtus”), followed the lead of his predecessor In­nocent VI (1352-1362) in authorizing the collection of funds. Alfonso de Losa, an apostolic notary apparently based in London, has his name both printed in the last line and calligraphed in the bold signature to the right. The two blanks in the body of the printed field were intended for writing in the names of the benefi­ciary and then the donor. Copies were issued in duplicate, one for the donor, the other with its cash donation to take to Santiago where the Masses were to be offered. This speci­men is undoubtedly the purchaser’s copy, already countered-signed by the appro­priate author­i­ties. The donor perhaps meant to have his and his relative’s names formally inscribed by a skilled calligrapher later on. The writing in the scroll surrounding the figure of St. James, dressed as a pilgrim with his emblematic walking stick, is from Psalm 23: “Virga tua, et baculus tuus, ipsa me consolata sunt” or “Thy rod and thy staff, these comfort me.” In a sense, the donation would make the trip to Santiago in place of the donor and generate prayers whose graces could be reassigned to benefit the deceased. The quantification of merit through indulgences, converting time itself into a spiritual trade good, eventually debased confidence in the market for merit. New “finan­cial instruments” were offered whereby grace became a fungible com­mo­dity. A murderer in northern Europe might be sentenced to two pilgrim­ages to Santiago, one in penance for the sin committed and another whose graces could be transferred to the aggrieved family as a form of compensation. Some would-be travelers paid others to perform pilgrimage in their stead in order to receive the graces gained by their envoy. A village in need of rain might collect funds to commission and outfit a pilgrim to ask St. James or another saint for this material benefit. In late medieval Spain when the heirs gathered around to hear the will and testa­men­tary bequests of a deceased relative, they often found they could not collect their inheritance until they completed a pilgrimage to benefit the soul of their benefactor. This practice became so common in territories where pil­grim­­age to Santiago de Com­postela was the premiere destination that an adage emerged that “En vida o en muerte has de ir a Santiago” (In life or in death, you’re bound to go to Santiago). It’s easy to see how modern economies based on symbolic currency, rather than material barter or a precious metal, ended up imposing their quantitative models on spiritual perform­ance both bad and good. Pilgrimage’s “currency” was debased, just like Roman coin­age backed up with polluted gold. The late medieval practice of selling indulgen­ces for monetary contributions converged with fungible pilgrimage to crash the economy of salvation. Until the late nineteenth century. 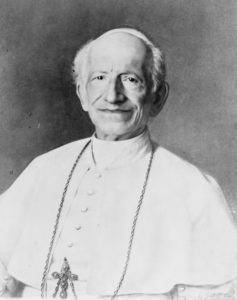 Popes Pius X and Leo XIII were affronted by the growing inroads of modern­ism. The papacy itself was barricaded within its recently shrunken papal estates, with the pope com­monly labeled by his defenders a “prisoner of the Vatican.” The Popes turned to the saints for help. One means of extending the Church’s reach was to enhance the traction of its shrine sites by resurrecting a now demonetized practice of offering indul­gen­ces for visiting them. 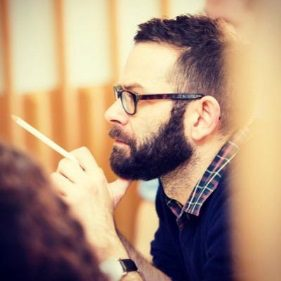 This increased traffic and the spiritual value of those centers enhanced the power of central Church author­i­ties as the arbiters for grant­ing spiritual emoluments. The tombs of saints were reopened as a gesture of re­leasing their energies, as happened at the sepulchers of St. Francis and St. Clare in Assisi. When the remains of St. James were rediscovered in 1879 after centuries of concealment, pilgrimage to Com­pos­tela gained fresh endorsement and even urgency. But for the many who could not make the trek to northwest Spain, nor to Rome or the Holy Land, there emerged an option for spiritual pilgrimage. For a small, mostly symbolic dona­tion, faithful subscribers could gather at a local church to receive all the graces and indulgences granted for a physical trip to an otherwise inaccessible shrine. Galicia is the region of northwest Spain best known for sheltering the remains of the only apostolic tomb other than those of Peter and Paul in Rome. It has always been remote and poor, and few of its residents could journey to other major sites either old (Jerusalem, Loretto, Turin) or new (Lourdes, Fatima). 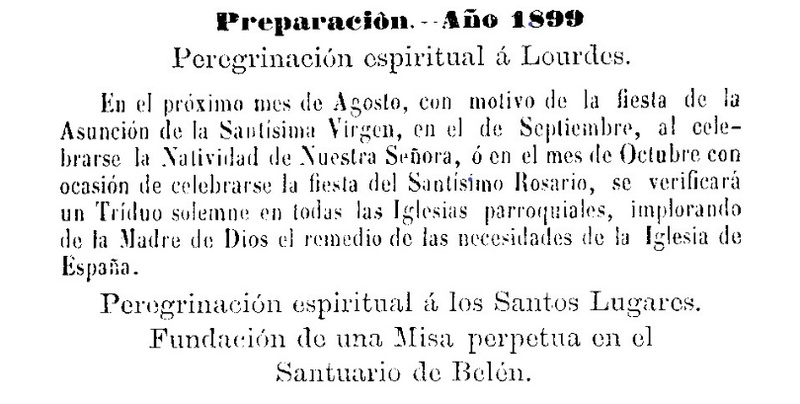 Starting in the late nineteenth century, diocesan decrees and Galician newspapers began announcing virtual, rather than physical, pilgrimages to the Holy Land or other, newly popular shrines. In return for a modest, sometimes optional enrollment fee, virtual pilgrims were invited to travel to a specific local chapel or church and engage in a short retreat or series of guided prayers. They would receive all the blessings and indulgences of a physical trip to Rome or elsewhere, and in some cases their names would be read aloud during a special Mass at the target shrine to honor the collective virtual trek conducted at their remote home base. The period of greatest fervor for these “stay-at-home” pilgrimages spanned about fifty years from the 1870s until the opening decades of the twentieth century. Pilgrims other­wise unable to make the journal were invited to join virtual traveling companions in a sacred place and perform rites that demonstrated their inscription in the journey. Some­times that meant special prayers that invoked the destin­a­tion, such as invocations of saints Peter and Paul if they were bending toward Rome, or Marian hymns if their spiritual goal was Lourdes. For the Holy Land, they made the most symbolic travel replica of all, a Way of the Cross to recall Christ’s own journey toward his crucifixion. They were lectoral assemblies, spreading the Good News by the social media of the period, the official publications and proclamations of the Church and steady repetitions in the popular press. 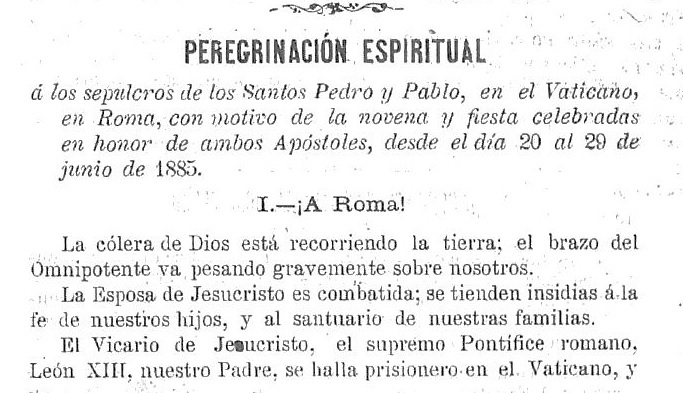 In 1937 during Spain’s devastating Civil War, a newspaper in Galicia used the phrase “peregrinación espiritual” in a new and clearly political way. Coronel Mos­­cardó and his young recruits defending the Alcázar in Toledo held out against attack­ing Republican forces. Even when Moscardó received a phone call from his besiegers threat­ening to kill his captive son, the commander held firm. He and his troops resisted despite massive bombardment and eventually delivered their near­ly crushed stronghold to Generalísimo Francisco Franco. The caudillo recog­nized its value as propaganda for his cause. The Correo Gallego reported that “The humble nest of heroes that was the home of Coronel Moscardó in Toledo … will be in the future a place of spiritual pilgrimage for those who gird the sword and the goal of those who wish to write the history or narrate the epic deeds of our age.” The Alcázar of Toledo became a national – and openly Fascist – shrine well past the death of the dictator Franco in 1975. The old economy of merits had shifted from virtual religious journeys of pilgrimage to include the creation of sites of patriotic commemoration. “La peregrinación forzada.” Las Peregri­na­ciones a Santiago. Eds. Luis Vázquez de Parga; José María Lacarra; Juan Uría Ríu. 3 vols. Madrid: Consejo Superior de Investigaciones Científicas, 1948-1949. Rpt. Pamplona, 1997. 155-67. Swanson, Robert. 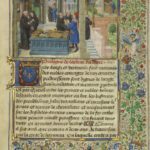 Indulgences in Late Medieval England: Passports to Paradise? Cambridge UP, 2007. –, Editor. 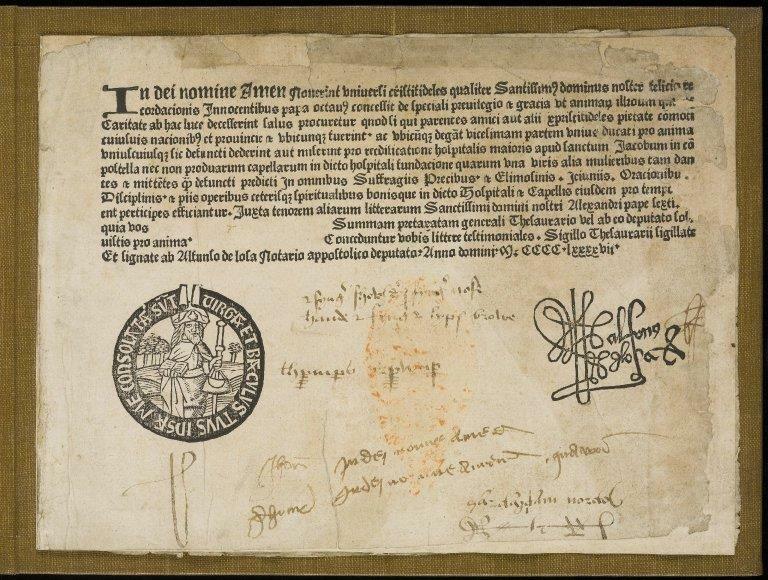 Promissory Notes on the Treasury of Merits: Indulgences in Late Medieval Europe. Brill, 2006. Many Galician publications including newspapers and ecclesiastical documents may be accessed at the autonomous region’s website Galiciana. Biblioteca Digital de Galicia. 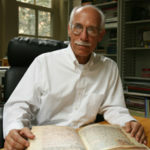 I would like to thank Carlos Andrés González Paz of the Instituto de Estudios Galle­gos “Padre Sarmiento” in Santiago de Compostela for his help documenting nineteenth- and twentieth-century Spanish spiritual pilgrimage. Also Fr. Francisco Buide and Arturo Iglesias of the Cathedral Archives for their insights on the imprint of 1497. 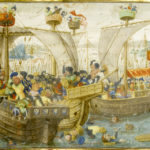 The bodily remains of St. James and his companions had been hidden in 1569 out of fear of Francis Drake and his bold raids on Spanish coastal cities. The secret of precisely where the relics were hidden was kept so well that eventually no one knew where they were. “El humilde nido de héroes que fue el hogar del coronel Moscardó en Toledo, prototipo del infante español sobrio, sencillo, sereno, valeroso y callado, con temple para el sacrificio hasta lo sublime, será en el porvenir lugar de peregrinación espiritual para los que ciñan espada, y allí de ir cuantos quieran hacer historia o narrar los hechos épicos contemporáneos.” Correo Gallego (March 10, 1937): 1. This newspaper was published in Ferrol, Francisco Franco’s home town in coastal Galicia.